My mom makes the most of old household items. 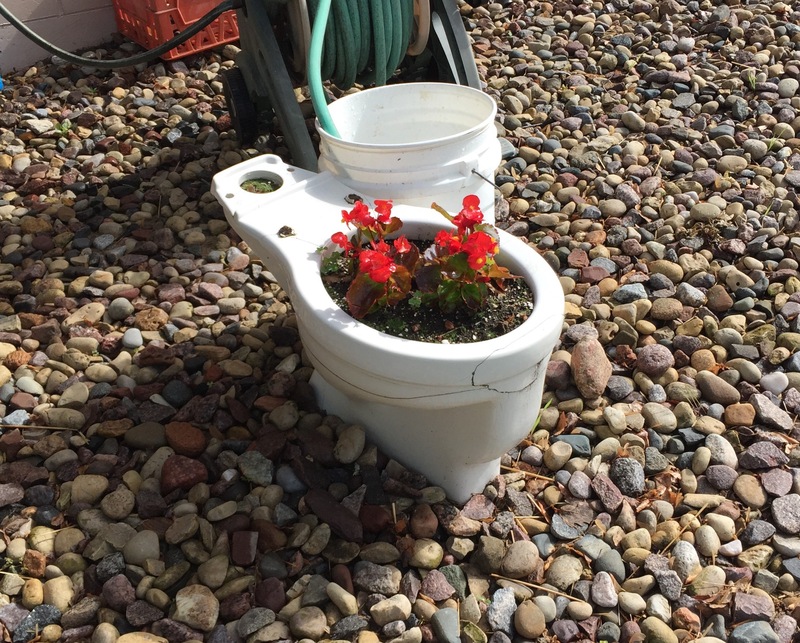 She turned both an old toilet bowl and the high chair that was used by me and most of my siblings into planters. 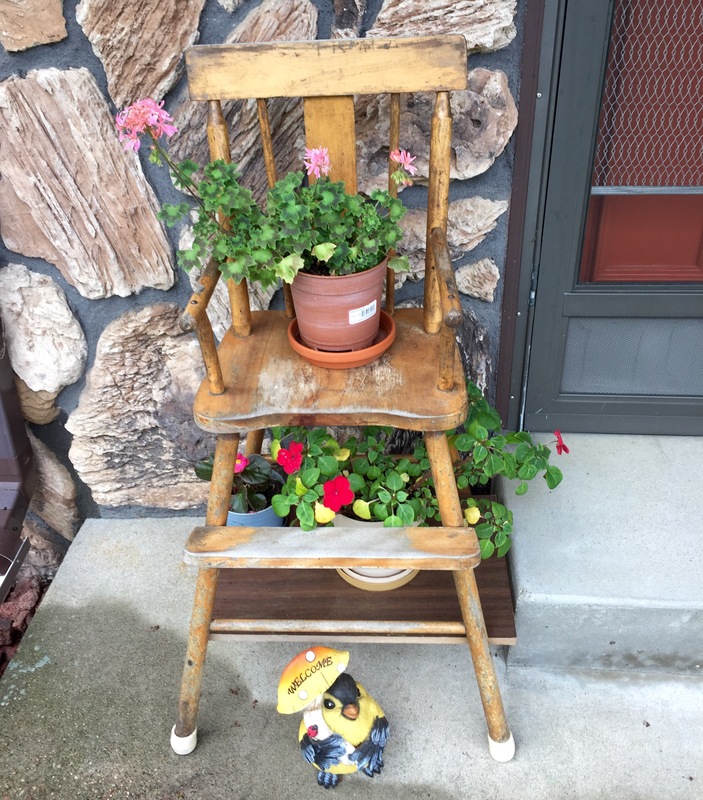 Rather than throw it out, my mom said she’ll use the old wooden high chair as a planter until it falls apart. Another example of keeping memories alive. And of not just trashing old items that have outlived their initial usefulness. Note: Again, I’m having problems uploading photos to the blog from the rural area my parents live in. I’ll try again later. Update (June 8, 12:45 pm): Finally got out of the boonies far enough to be able to add photos to the blog! This entry was posted in Family, Living and tagged flowers, ideas, planters on June 7, 2015 by Julie Riebe.